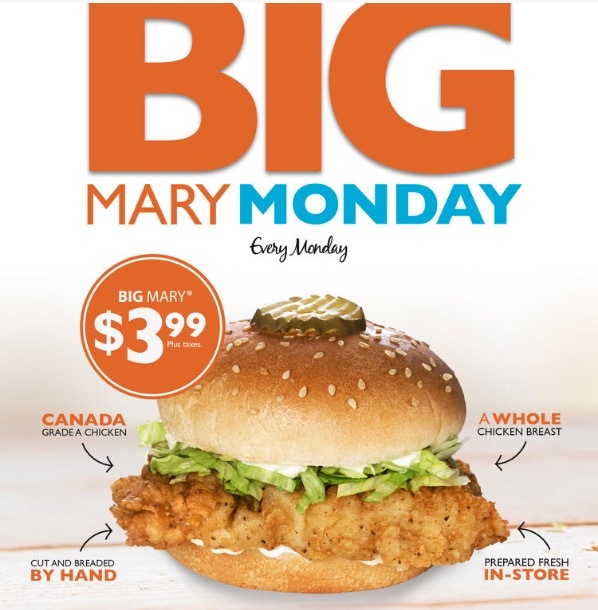 Mary Brown’s Canada has a new coupon available now, until, February 28, 2019. The Mary Brown’s Canada coupon includes: Get 8 Pieces of Signature Chicken & Medium Taters for $18.99. Present the coupon at time of ordering. Signature Desserts, Sweet Mary for $1.99, served with Chocolate Dip. Prices may vary by region.